I remember the day like it was yesterday. It was 10-10-10, and I was in the middle of my 1st semester of nursing school. Some may have thought, what in the world were you thinking?? But Shane and I knew that was the right time for us and we were so thankful to be married in front of our closest family and friends. I cannot believe time has gone by so fast! If you were to ask us where we saw ourselves four years from then, I am pretty sure we would be living very similar to now. 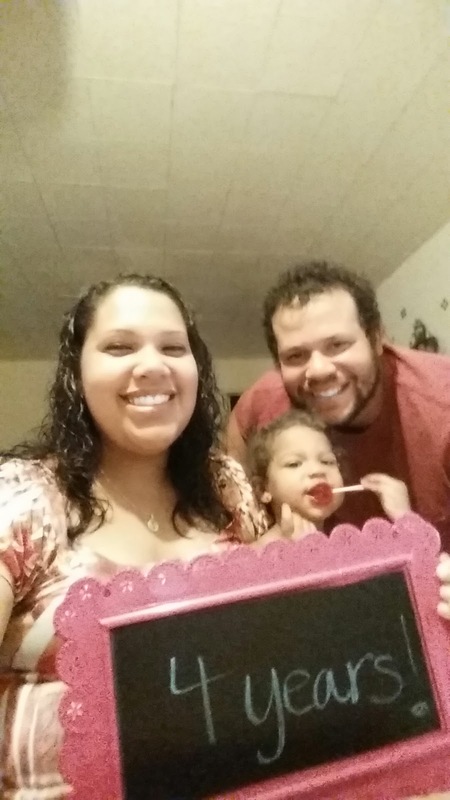 We knew of our we wanted 2 to 3 kids, we wanted to have them young, and we wanted them to be raised knowing and loving God. So much has happened from getting pregnant for the first time, to now the third (each and every pregnancy is so amazing and different in its own way), from getting promotions and new jobs, and just growing so much closer to each other in our marriage and love for each other and God that I wouldn’t change any of it for the world. No it wasn’t easy, and that first year of just adjusting to living together for the first time was definitely harder then either of us thought it would be, but just taking the time we each needed to get comfortable in the rent house and for me to get comfortable with my new environment not being close to my family and friends took some time but it was so worth it. This year we actually decided to go out and have a nice dinner since our anniversary was on a Friday night, but since we are parents and Brielle had gotten sick we decided to stay home, eat dinner at home and enjoyed a movie at home. We both were relaxed and spending it at home was just as meaningful as spending it away. 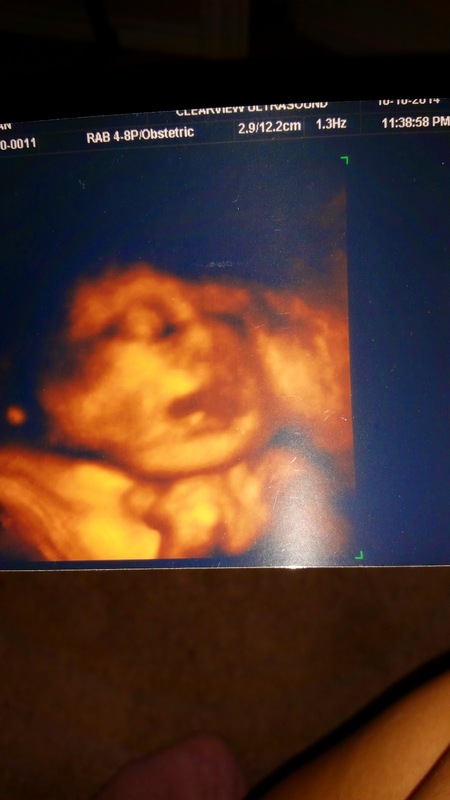 Our gift to each other was a 4D ultrasound of baby Rochelle and since she is so low and we decided to wait so late in the game to get the sonogram we got some decent pictures, not the greatest but just to see her grow and so healthy and big meant the world to each of us. We can’t wait to meet in her in a few short weeks! 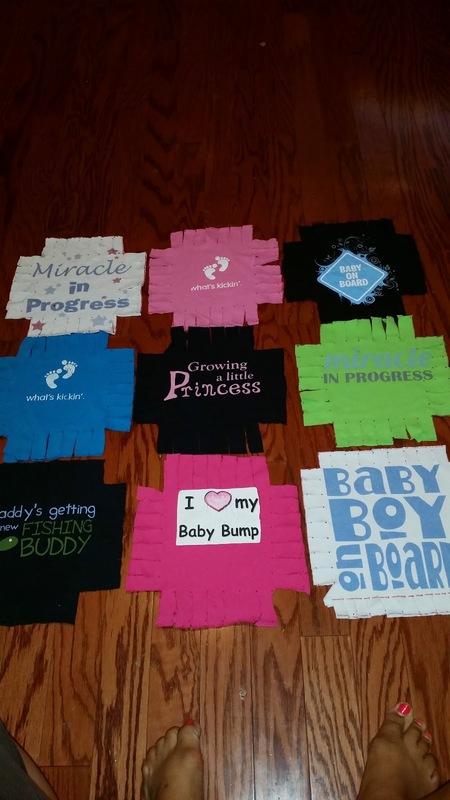 After the sonogram appointment my best friend Adriane came over to help me make a blanket out of all of the pregnancy shirts I have made (saw the idea on pinterest and it took a LOT more time then either of us assumed it would) and the blanket turned out great!! 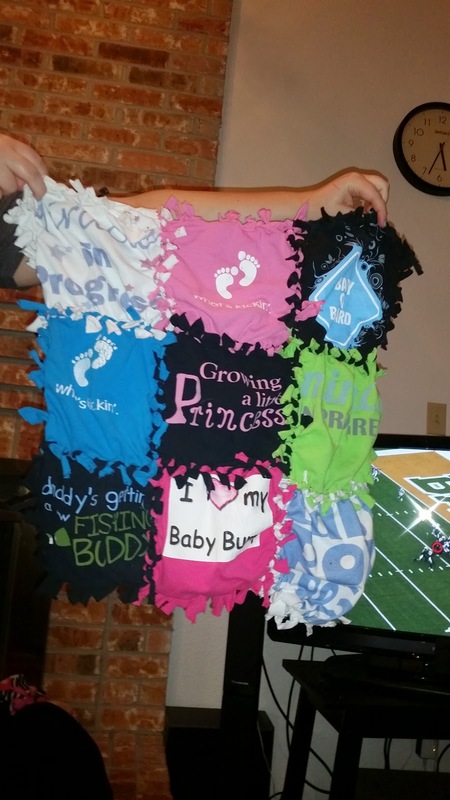 It was way smaller then I thought it would be, but I will forever cherish the memories of wearing them for my babies and show them the blanket when they get older. I definitely won’t be doing another blanket any time soon (unless we learn how to sow one together) but I am glad we took the time to do it. We signed up for a fall mini photo session to happen in just a couple of weeks and we can’t wait for that and hope the pictures turn out great! 4 years down, many more to go! Thank you again to everyone who wished us a Happy Anniversary, we can’t wait to spend many more together! This is our precious bundle of joy!